Mildred Kidwell, 92, devoted Wife, Mother and Grandmother passed away at Bloomington Hospice House on Saturday, August 25, 2018. Born in Cincinnati, Ohio on July 22, 1926; she was one of five children born to Clarence and Ruth (Springer) Fancher. Mildred married Robert “Bob” Kidwell on June 29, 1945, starting a beautiful marriage that would span 73 years. 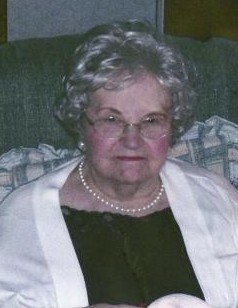 Mildred was known as a “grandma to the world”, her children and grandchildren were her pride and joy. She had a positive outlook on life and lived by the rules passing these traits on to her family. Mildred took care of her home and raised her family while Bob worked and when she had moments to herself she enjoyed watching birds and a little chocolate. She was the sweetest, kindest, and most genuine person and everyone that knew her loved her. Mildred left an everlasting legacy and will be remembered fondly. Mildred is survived by her husband, Robert “Bob” L. Kidwell; children, Linda Kidwell, Deborah Kidwell, all of Bloomington, and Robert W. Kidwell (Pam) of Indianapolis. She was a loving grandmother to, Shane Kidwell, Nathan Kidwell (Tonya), Kari McGrath (Shane), Shawn Parrish (Lori) and Jeremy Breedlove (Alicia); eleven great-grandchildren and sister, Shirley Young of Kentucky. She was preceded in death by her parents; two brothers; one sister; and grandson, Chad Breedlove. Graveside Funeral Services will be held on Saturday, September 1, 2018 at Anderson Cemetery, 6501 E. 10th Street in Indianapolis at 1:00 p.m. with Pastor Claude Franklin officiating. Chandler Funeral Home in Ellettsville is assisting with the arrangements.